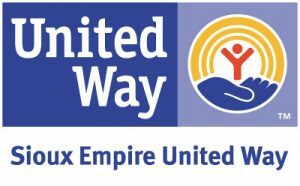 Sioux Empire United Way’s Board of Directors have approved a one-year grant for up to $7,800 to fund trainer stipends for the ACE Interface Training program. This program will provide consistent ACE Interface trainings in the Sioux Falls area. The focus will be to educate community members on how ACEs are impacting not only children today, but our workforce, law enforcement needs, and medical services. Training must take place within the South Dakota counties of Lincoln, McCook, Minnehaha, or Turner. Requestor must be a Master Trainer or Presenter. Requestor must report training to Children’s Home Society for data tracking. Requestor must have a W-9 on file with CPCM. Requestor must complete and submit their request using the form below. Please enter a number from 1 to 9000. If requesting more than the standard stipend, provide explanation and justification of amount requested. Anyone receiving payment, including reimbursement, must have a current W-9 Form on file with the University of South Dakota. I have submitted a W-9 form. The information presented above is true and correct to the best of my knowledge. I did not and will not receive payment or reimbursement from any other source, including my employer, to perform the training for which a stipend is requested. I have reported the training and data from the training to Children’s Home Society.